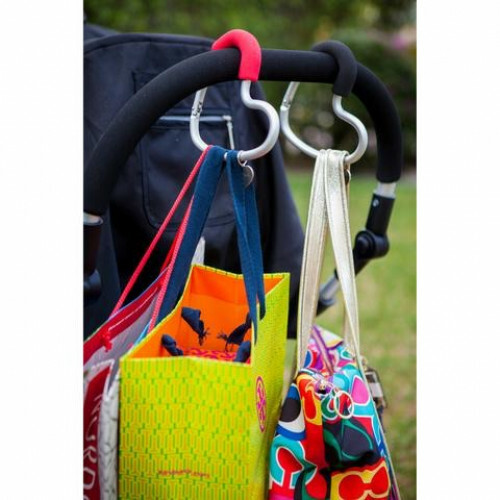 Convenient hook for hanging your bags. Let the new buggy heart hook hold onto your belongings when you’re on-the-go. 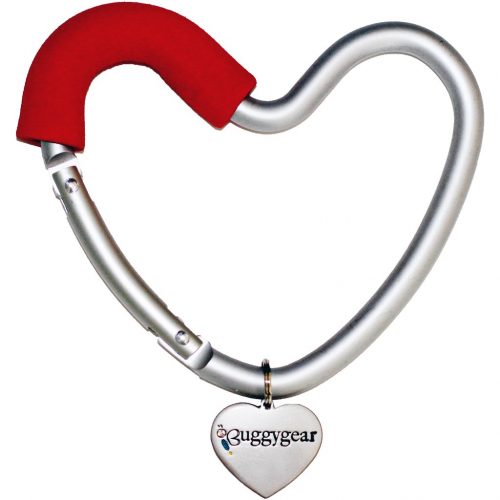 Buggygear’s newest innovation is a fun and functional bag hook which comes in an eye catching heart design shape in red, black, or pink color! 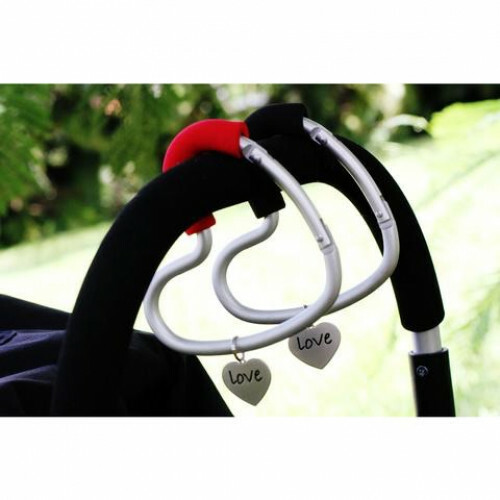 The buggy heart hook is the perfect stroller, shopping cart or travel companion. A lightweight aluminum bag hook with foam grip holds your items in place. It's superior design allows for carrying all types of bags and purses, especially those with wide handles. Click it on for quick errands and shopping trips around town or for family trips when you know you'll have more bags that you can carry.